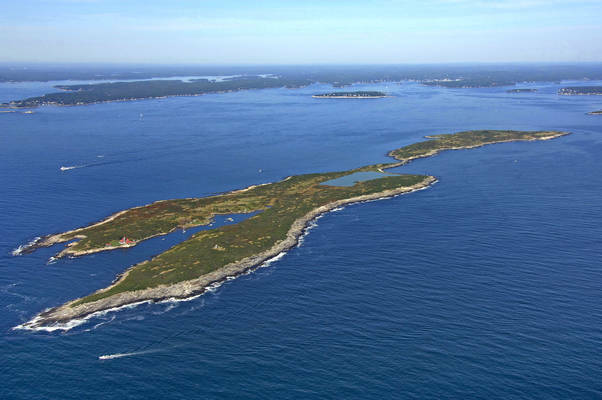 English fishermen settled on Damariscove Island off Boothbay and at Newagen in the early 1600s. When hungry Pilgrims came east to buy food, Damariscove fishermen generously supplied them. These settlements prospered, exporting salt fish, timber and furs, until the Indian Wars wiped them out. 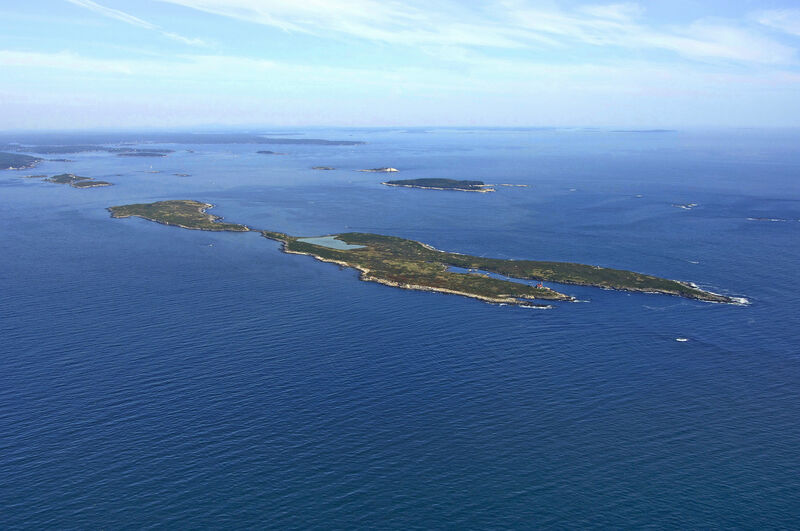 The image above is a view from the south looking north over the entrance to Damaricove Harbor where it meets the Atlantic Ocean. 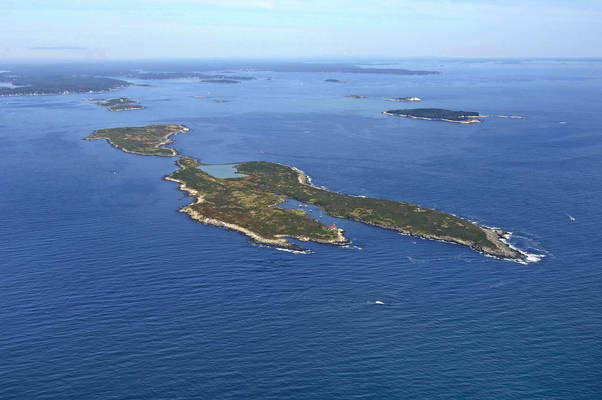 Damaricove Island is a nearly two-mile- long rugged outpost that is located about seven miles south of Boothbay Harbor and eight miles northeast of Seguin Island. 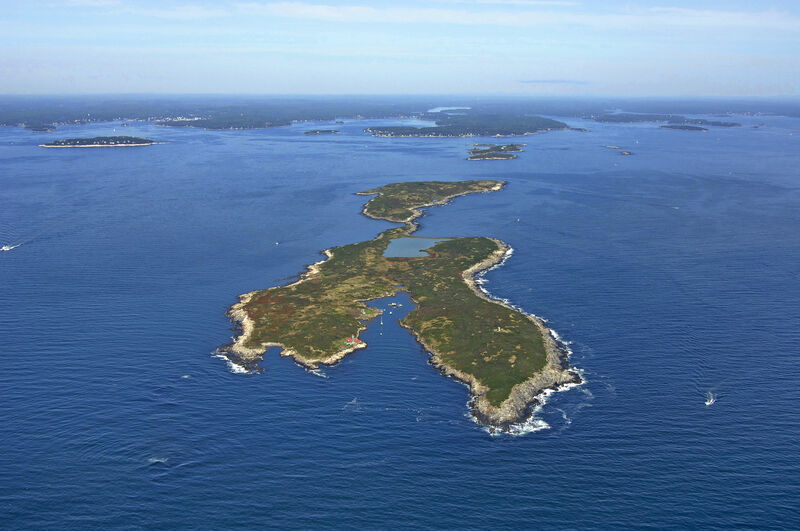 There is almost nothing available in the way of facilities on Damariscove Island, so if you decide to anchor out in the harbor here and explore the island for a day or two, make sure you are entirely self-sufficient and well-stocked with supplies. 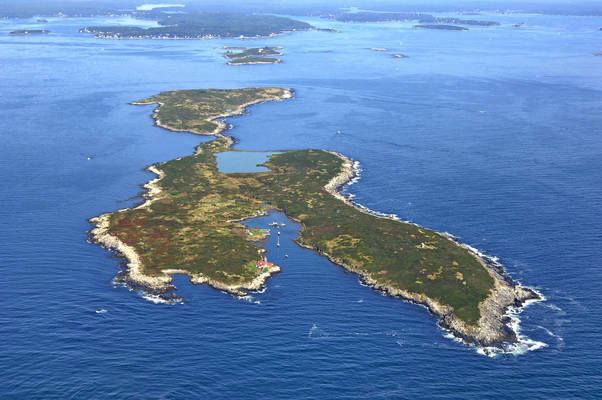 The island is open to exploration by the public, but as with many of the wild islands that lie off Maines coast, leave it as you found it. Bring no trash ashore and make as minimal impact as you can while you explore to keep the island wild and beautiful. Finding and approaching Damaricove Island is fairly simple and easy. 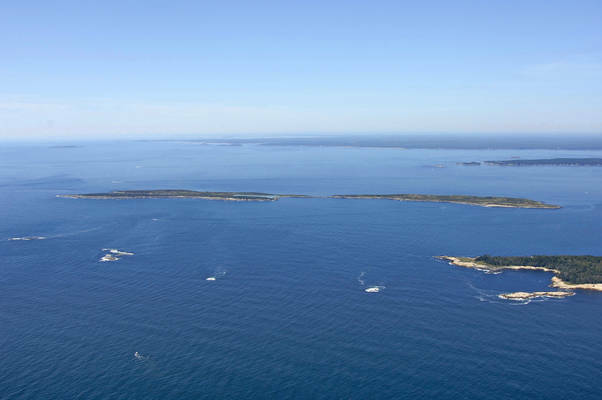 You can approach from the west or east, but note from the chart that you will have Pumpkin Ledges and Outer Heron Island to contend with if you do come in from the east. We shall discuss the west-side approach here. First set a course for red and white buoy TW, which is located at an approximate waypoint of N43 44.761 W69 37.099. Once you have safely navigated to red and white buoy TW, you can set a course to the north to enter Damariscove Harbor, but be sure to mind The Motions, a series of rock ledges to the east of the entrance. Depths inside the harbor range from seven to 11 feet, and the best protection is afforded all the way at the top of the cove. No reviews yet! Be the first to write a review of Damariscove Island.